There’s no shortage to be fun had with all the activities in Big Bear CA. 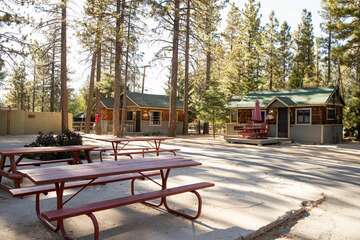 People from all over the country have been choosing this resort town in the San Bernardino Mountains for their gatherings and celebrations since the secret got out about all the natural beauty in Big Bear. That doesn’t mean you won’t be able to experience everything that Southern California’s top resort destination has to offer. Celebrate the bachelorette party of your dreams by starting your night off with food and entertainment at any of these unique locations. Sweet Basil Bistro is the perfect brunch meal to start your bachelorette party off right. This intimate restaurant features fresh, country Italian cuisine with dishes that will please eaters of all sorts. The Sunday brunch menu is a local favorite, but you’ll find delicious offerings at all times of the day. Dinner specials include lobster lasagna, ricotta and pesto stuffed chicken breast, and grilled salmon. Pair your lunch with a freshly prepared cocktail of your choice. 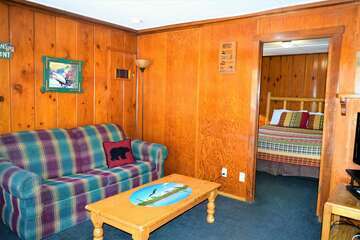 The Bistro is also adjacent to the Bowling Barn, and within walking distance of Big Bear Village and Big Bear Lake. The name of this place nearly tells it all. Aptly titled for its address and what’s inside, the 572 Social Kitchen & Lounge is another ideal spot for a meal during your bachelorette party. The restaurant focuses on modern dishes, but also features some American classics that will make your mouth water. The Cali Burger is loaded with applewood-smoked bacon, avocado, onion, lettuce, tomato and Tillamook cheddar cheese. Accompany the burger with a cocktail of your choice for the full 572 experience. The outdoor patio is perfect for a summer lunch in the Village. Dance night at AV Nightclub, the last destination for the bachelorette party of your dreams in Big Bear. You can head to the VIP Section with your group of girls for a night of dancing, drinking and pure fun. You’ll be treated like royalty all night, with bottle service and accommodating, friendly bartenders that are used to some of the busiest crowds in Big Bear. A variety of DJs and styles can be found at the AV Nightclub on any given night. Drink specials and different promotions keep this place hopping every night of the week. 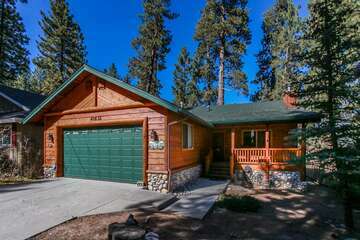 Check out our inventory of amazing cabins at Big Bear and find the ideal setting for your next vacation.